Jamshedpur, May 27: Students from four countries, including France, Sweden, Philippines and Germany, would come to XLRI as part of an international students exchange programme. Officials of the B-school said that for the first time students from so many countries would be on the campus as part of the exchange programme. “Except Germany, all other countries have confirmed the students’ participation at the exchange programme to begin in September. The students from abroad would stay at the B-school for four months,” said Shivapada Ray, the in-charge of students’ exchange programme at XLRI. The management schools, which have confirmed participation, include Asian Institute of Management (Manila), EM Lyon and IESEG School of Management (both based in France) and Malardalen University (Sweden). About 15 students from the four management schools abroad would be part of the students exchange programme. ...As a part of the exchange programme, students from XLRI would also visit he B-schools in Philippines, France, Sweden and Germany. 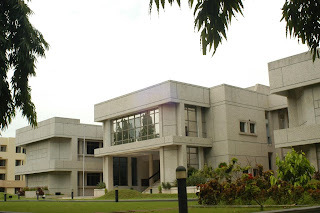 ...In fact, XLRI has signed memoranda of understanding with about 15 management schools in the US, Belgium, the UK, Manila, Hong Kong, France and Sweden for students’ exchange programme.